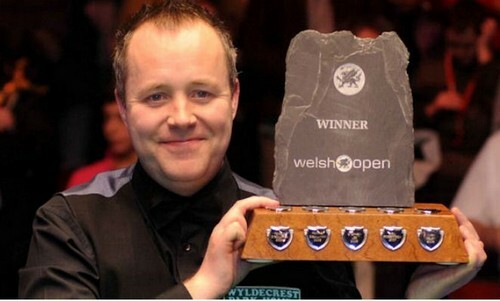 John Higgins has yet to win a title this year after his fabulous season last year, aiming to break his trophy drought next week. He said, "I don't practise as hard as I used to when I was young. But that could change soon because I'm having a snooker room built at my house, Over the Christmas period I was sitting at home and it would have been a good time to have two or three hours a day of practice without having to go to the club. I ended up going into the Masters with only a few hours practice under my belt, which cost me." 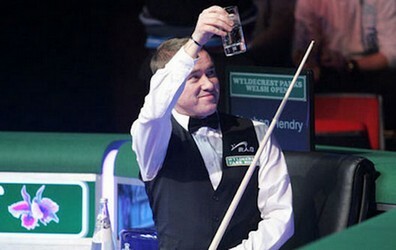 said Higgins, who beat Stephen Maguire in last year's final in Newport and Ali Carter in 2010. The tournament will feature Ronnie O'Sullivan, who won German Masters last week and Judd Trump, as well as local favourites Mark Williams and Matthew Stevens. Stephen Hendry, who made his tenth maximum break here last year will not be seeded this year as he has dropped out of top 16. The Rocket needs a good run in the tournament despite winning the German Masters to get enough points, his ranking rises up to 15th temporarily but the point difference is narrow. He has get a tough draw as he may Marco Fu in the first round, who beaten him a few times and then Mark Williams for next. Judd Trump may play him for the third time in this season as Ronnie lost in all three meetings. All matches up to and including Last 16 are best of 7 with no intervals while quarter-finals play best of 9. Semi-finals are best of 11 as usual and final consists of best of 17, first to 9 to win the title. The two qualifiers matches that Welshmen Ryan Day and Dominic Dale will be held over and played at the main venue.